Gorgeous Bismuth crystals measuring 10-20MM approximately along their longest point. 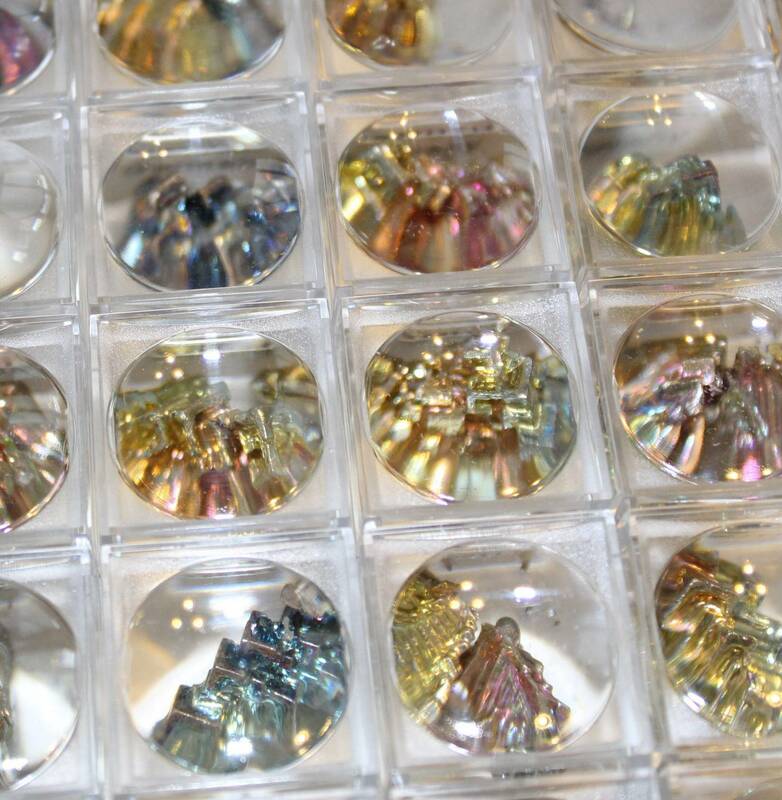 The unusual and colourful nature of a Bismuth crystal makes it an ideal present for children, perhaps even as part of a science lesson – for which the magnifier is pretty handy too! Bismuth is a naturally occuring element; 83 on the periodic table. 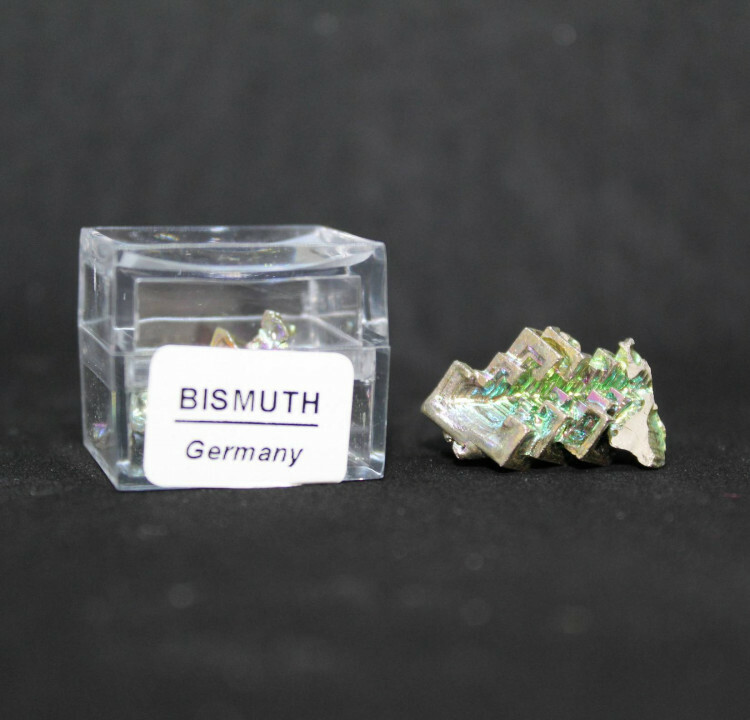 These pieces, however, are heated and formed in a lab; raw elemental Bismuth is not nearly as interesting and is more a flat grey metallic colour. The shapes and colours produced by this process are almost alien, and make it a truly gorgeous display item or gift. The box itself measures 25MM square approximately, the pieces within are between 10 and 20MM along their longest point generally. For more information about Bismuth, and a full list of all our related products, please see our main ‘Bismuth’ section.